Are you thinking of cleaning your fireplace? Take it from a Dallas chimney sweep company – it’s a dirty job! But you can clean your fireplace like a pro with our fireplace cleaning tips below. We would be remiss if we didn’t try to plug our Dallas chimney sweep services first. If you feel that cleaning your fireplace may be more of a job than you want to take on, call a professional chimney sweep company and ask them about their cleaning services. Many homeowners and business owners rely on the services of professional chimney sweeps all over the country. 1st Choice Chimney in Dallas is a great choice for those who would rather let somebody else get dirty! But, in case you’re reading this far into this, continue along to find out how you can get your fireplace looking it’s best. When should you clean your fireplace? Gather up the following gear: empty 13+ gallon garbage can and liner, fireplace shovel and brush. If you don’t have those, a regular garden spade and hand broom will suffice. Consider using an additional garbage liner to lay at the opening of the fireplace on the floor. This will help to keep ash and soot off of your floors and carpet. Using your hands (and ONLY after it is cold and no longer burning), remove all large pieces of charred wood and place into the trashcan. The shovel should then be used to remove all of the remaining ash and soot. Use the brush to clean all edges and corners in the fireplace. If there was any grating or andirons on your fireplace, scrub them down with the brush to remove soot and other particles. You can use soap and water to help keep those looking better. Scrub down the interior walls and floor of the fireplace with a nylon brush to loosen up bigger particles. Optional: Use a vacuum to really give the fireplace a deep clean. Cleaning your fireplace is actually pretty easy. Dirty, but easy. 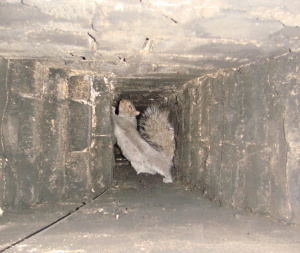 However, don’t let this be the end of your fireplace maintenance. The is the perfect opportunity to give your fireplace and chimney a good visual inspection. Remember, as fires burn in your fireplace throughout the years, the oils, moistures, chemicals that are the result of combustion, and particulate matter all accumulate within the inner walls of your chimney. Creosote is the result when these things build up. Creosote, when built up, can provide the perfect fuel for a chimney fire later on down the road. Look up into your chimney with a flashlight. Does it look clean? Can you still see the bricks that make up your chimney? If not, it would be a really good idea to call a Dallas chimney sweep so that you can get a proper inspection done. The Chimney Safety Institute of America recommends that chimneys and fireplaces should be cleaned when there is ⅛ of an inch or more of buildup. 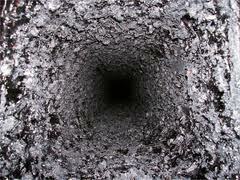 Regardless of how much soot there is, any shiny, glazed surfaces warrant a professional chimney cleaning. In fact, most chimney sweeps would agree that an annual chimney inspection can help you determine when and if you need to hire a professional to sweep your chimney. Look at the general condition of all of your fireplace inside the home. Are bricks coming loose? Is mortar cracking and falling out? If so, get this stuff fixed ASAP. Fireplaces in disrepair are dangerous. Go outside and look up at the chimney on your roof. Walk around the house and inspect all 360 degrees of it. 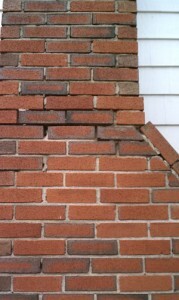 Are bricks or mortar coming loose and falling out? Is there a cover over it to keep out rain, snow, birds, bats, and other intruders from entering the chimney? Are tree branches blocking the top of the chimney? If so, consider removing them and cutting the back at least 20 feet. If you have any questions about how to clean your fireplace or chimney, call a reputable Dallas chimney sweep. We love helping people maintain their fireplaces and chimneys!